We are a veteran and woman owned business based in El Paso Texas. We specialize in residential remodeling and commercial tenant improvement. We have a combined experience of over 30 years in the home improvement community. We are fully licensed bonded and insured for your peace of mind. Milliken Construction, Inc provided quality repair services for Texas and New Mexico home owners and businesses. We are housed in our own 5,000 sq. ft. facility with a qualified staff of professionals. When you choose Milliken Construction, you are selecting the premiere restoration contractor, owned and operated by a family with a long history and a special understanding of this region. Our record speaks for itself. We are large enough to handle complete restoration, yet small enough to give personal attention to every job. Celebrating 14 years of renovating El Paso's finest homes! We are a small artisan contractor who specializes in remodeling and additions in the El Paso, TX metropolitan area. We are experienced in completing projects of various scope and budget: from standard or accessible bath and kitchen renovations on up to mid-six-figure whole house remodels. In order to maintain our high standards of quality control we prefer to do most phases of the work with our own in-house crew, as opposed to simply subcontracting everything to others. While this has been a difficult business model for us to pursue, our clients have far fewer strangers wandering around their home during the project, and they get to know our employees personally. A trust relationship is hence established which takes much of the stress out of a renovation project. A large portion of our work is on historic and high-end homes and we enjoy working with the discriminating client. We are bonded and fully insured for your protection, including Workers Compensation insurance for our employees, and are a licensed General Contractor with the City of El Paso. Our work is also backed by a written One Year Limited Warranty. We would love to visit with you about your next project and see if we might be a good fit! Call or Email us today to schedule your free initial in-home consultation. Business since 1959, Started from my grandfather, my business is unique because we are very known in the community, such as very known Hotel owners, police department, Judges, Lawyers, most Hospitals. We also offer 24 hour service making it convenient for emergency services such as evictions. We always answer our business line for any questions unlike other moving companies. SMALL GENERAL CONTRACTOR DEDICATED TO RESIDENTIAL AND COMMERCIAL PROJECTS. REMODELING, ADDITIONS & NEW CONSTRUCTION. LICENSED, INSURED & BONDED. 29 YEARS CONSTRUCTION EXPERIENCE. DEDICATED TO CUSTOMER COMPLETE SATISFACTION. Robe- Ana Home Construction is a locally owned and operated company that combines 24yrs of experience with innovative systems to ensure detailed, quality craftsmanship, exact translation of your vision, and precise estimating and budgeting to give you the best value for your dollar. Whether you choose traditional designs or contemporary living for your home, Robe- Ana Home Construction strives to help you in deciding on the right features for your home to meet your expectations in functionality and taste while giving your home what it needs to appreciate and exceed the market value in your neighborhood. A&R Home Improvement is a family owned, El Paso based business with over 18 years of experience in providing professional workmanship and customer service. All of our work is guaranteed and we are licensed, insured and bonded for your protection. Have you been thinking of remodeling your home? Perhaps you are looking to custom build a house? Visit our services page for information and view our gallery page for some examples of previous projects. Remember, no job is too big or too small for us and we approach every project with the same confidence and enthusiasm regardless of the project’s size. Residential and Commercial Construction Serving New Mexico. Green Mountain Contractors, Inc., in partnering with local design professionals, we provide high-quality, affordable services that will guarantee customer satisfaction – exceeding our customer's expectations. The Best. By Far. Twenty4Seven is a professional handyman service. Customer satisfaction is our top priority. From hanging curtains to installing tile in your bathroom, no job is too small for us. Call us today for a FREE estimate! We are insured & bonded. "HABLAMOS ESPAÑOL"
The words "McGinley Construction" and "Quality" are interchangeable. When you think of quality, whether in remodeling or homebuilding, you should consider McGinley Construction. We have a highly talented team of individuals dedicated to working for and with McGinley Construction. Quality of workmanship is highly critical to our process and your satisfaction, and we are proud of the longevity of our team of handpicked, skilled subcontractors. We have been working with many of these individuals for over two decades, bringing you added confidence that your home is in the best of hands. Our many satisfied customers over the years are a testament of our commitment to quality. Whether you wish to custom remodel your current home or build a new home, at McGinley Construction our goal is to design each project to fit the needs of the customer. Schueller Homes is a local luxury custom home builder and remodeler. As a family owned business, we have been serving Las Cruces, NM and the surrounding areas for over 40 years. 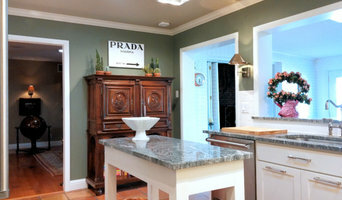 At Econo Pro Painters, LLC, our experienced craftsmen are trained to approach projects with the most up-to-date techniques in the industry. We begin by distinguishing and trouble shooting different applications and problem areas. We know that surface preparation is critical for long-lasting paint jobs. Knowing how to advise our clients on preparatory procedures and apply the correct product for each surface has been the key to our success. 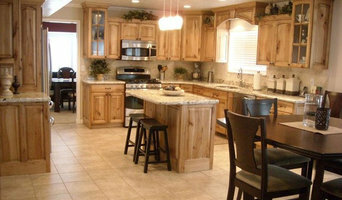 Family Owned and Operated Local Business, Focused on the Home Improvement and Remodeling Services. 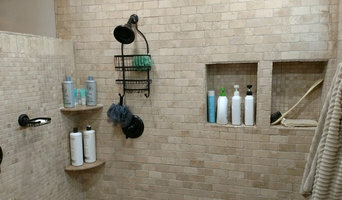 From a Custom Vanity, to a Complete Kitchen Remodel. We specialize in Tile Installation, Finish Carpentry, Interior Exterior Painting, Walk In Closets, Etc. AMERICAN LIVING CONSTRUCTION is a locally owned company with over 15 years of experience in El Paso Texas. We specialize in quality residential and commercial remodeling, renovations, and repairs. Our main focus is being leaders in quality construction and infrastructure. American Living Construction makes your dream home a reality with an easy and enjoyable process for you. Our team of expert designers and contractors will guide your process to archive a high quality end result. We are licensed, insured, and bonded for Residential and Commercial construction in El Paso and New Mexico for your protection. Call us today to get a FREE ESTIMATE and start enjoying your dream home. Our People At Aim Construction Company, Inc. We have handled a wide variety of commercial and residential projects for clients. And, we couldn't have done it without our dedicated staff. Our employees have spent most of their lives working in the construction business and know the in's and out's of building requirements, especially in the El Paso area. With our attention to detail and dedication to delivering the highest quality work possible, you can rest assured knowing that your project is in the hands of an extremely talented and knowledgeable team of employees. Some of which have been with the company 25 years. General, or construction contractors, are often known as project managers. They oversee the entire remodeling or new home construction project and facilitate all day-to-day tasks that move it toward completion. A Homestead Meadows North general building contractor will work with your architect to review plan as you build a house and ensure everything is in place before work is started as well as arrange for permits and necessary inspections. While good local home improvement contractors in Homestead Meadows North will have the skills to handle certain tasks onsite, such as carpentry, he or she is also responsible for hiring subcontractors for the majority of jobs, such as electrical work, painting or plumbing. In addition, the general contractor should be on-site regularly to inspect the progress and resolve issues. Here are some related professionals and vendors to complement the work of general contractors: Architects & Building Designers, Interior Designers & Decorators, Landscape Architects & Landscape Designers, Kitchen & Bath Designers, Specialty Contractors. Home remodeling contractors are a must for successful completion of a renovation. Because of this, it's essential that you do your homework before deciding on the right general contractor in Homestead Meadows North as you remodel or build a house. Inspect bids carefully. Was it ready when the contractor promised it? Was the bid for building a home unusually high or low? Each of these things can be very telling: A late bid may reflect timing standards, and an off-the-mark bid could be code for a pricey premium or a deliberate underbid to score the remodeling job. You should call references, carefully read reviews and visit completed projects in Homestead Meadows North, TX to see if they’re what you expect for your job. Once you do secure your local Homestead Meadows North contractors, read the contract very carefully to be sure everyone is on the same page. Find a Homestead Meadows North contractor on Houzz. Narrow your search in the Professionals section of the website to Homestead Meadows North, TX home contractors. 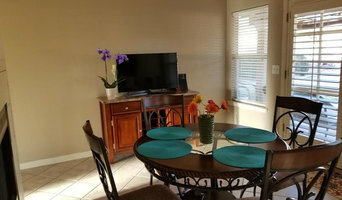 You can also search for photos in Homestead Meadows North, TX and contact the Homestead Meadows North general contractor who worked on the project.